LOVE BEING A NONNY! : Lately and a Twinsx2 Update! (K will be 36 weeks tomorrow. Unless she goes on her own, the twinsx2 will be here on April 17! ~The twins are growing and talking and changing. 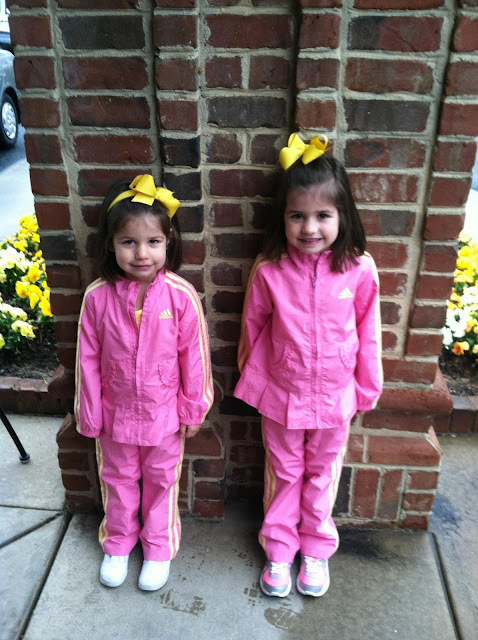 Their MiMi took this picture when they were at her house last Sunday. But I DON'T love how big they are getting! ~Spent some time with the girls! We went out for pizza and later had a fashion show. They love to try on things and have me announce them! I make a big deal out of it and they LOVE IT! ~Easter is just around the corner. I may or may not have bought baby chicks for the kids to see. Don't worry, I have a good home for them to go to the day after Easter! What have you been up to lately???? I don't know anyone who could have more going than you do at this time!! Love the white cribs and those darling PINK outfits on the girls! So very cute! Praying she will make it to her due date and healthy babies will be delivered easily! Keep calm and carry on Nonny!! How exciting!! So many sweet little faces in your family!! So exciting. 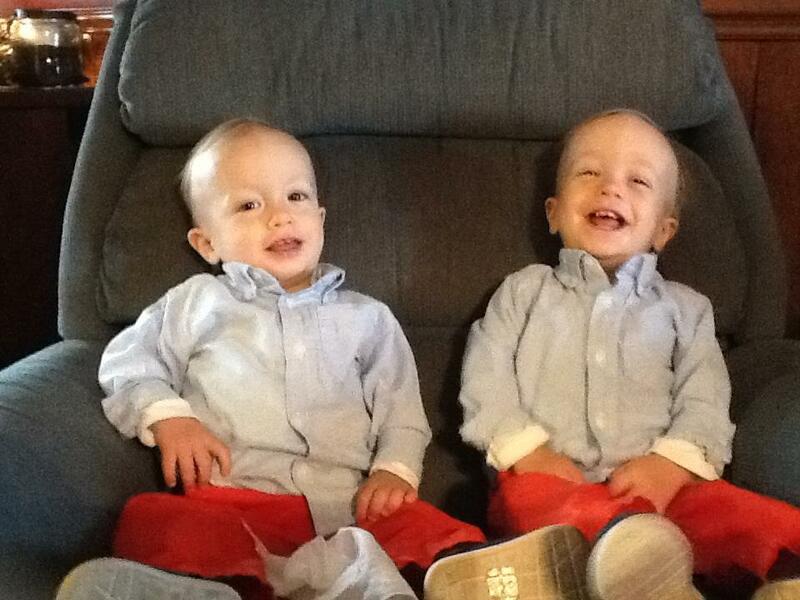 you just have the most adorable grand babies!!! They will LOVE the chicks! YOU are "Nonny of the Year" for that one!!! They are all so adorable. I. too, am praying for #6 and 7 to get here nice and heatlthy, and mom too! You are blessed.